Today’s top five companies are taking us into the golden age of technology. 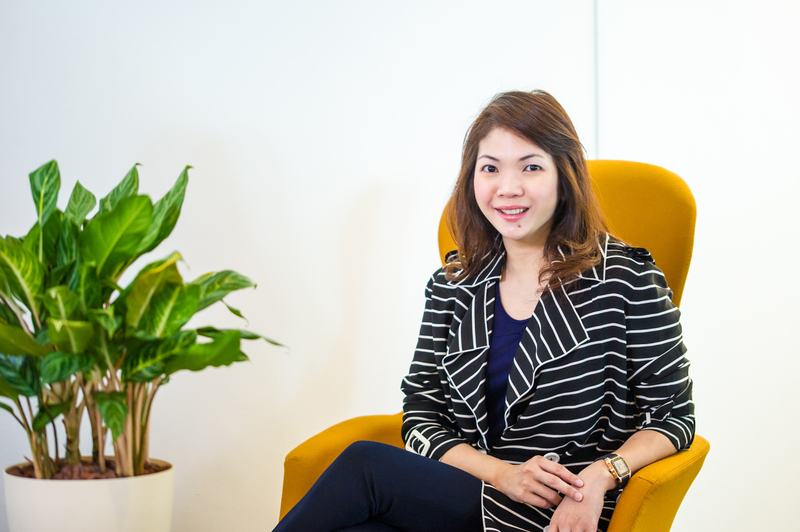 Shirley Crystal Chua, Founder and CEO at Golden Equator Capital, tells us more. Shirley Crystal Chua is the Founder and CEO at Golden Equator Capital. With a wealth of experience in asset management, she is alert and lively. Her eyes are the windows into a quick mind. Dressed in an elegant maxi dress for our interview, she looks regal, reclining in a lounge chair. Prior to our meeting, I am whisked from the impressive lift lobby to the secret whisky bar, a section nestled within fresh new confines of the grade A office space. Accessible by password only, tinted doors slide open to reveal a cleverly concealed drinking hole. Decked out in swanky interiors and boosting a fine alcohol collection, one can also take in unblocked views of Singapore’s Bugis shopping district. I exhale to steady myself, exchange a few hellos with Shirley, and flick on the voice recorder. We are ready to dissect the golden age of technology. Doyenne: Are virtual payments here to stay? Shirley: They are here to stay. Penetration rates will deepen. In emerging continents like Africa, adoption rates are faster because there are no legacy issues like an ATM machine to replace this convenient mode of payment. D: What about cryptocurrencies, bitcoins and blockchains? S: These are buzzwords now. Most people don’t know what they are today, so adoption rates are slower. Many will wait and see. Currently, the market leaders are still leading and dominating the space. The young will get into this space faster because of FOMO (Fear Of Missing Out). Once the mass gets into it, we should feel nervous. However, just like the internet bubble, the technology will stay, even after a bubble. D: How is technology driving investments? S: In many ways, technological investments have evolved from the dotcom days. Today’s top five companies are in tech. As market leaders, they have spread a fair amount of understanding into Asia. As such, we’ve grown a lot in the past decade. Driving investments, technology provides new money flows. This leads to a more vibrant investment community as their pocket pool grows bigger. In terms of private equity, more people are allocating assets to startups and private companies. These are driven by new-age technological companies we now see in the economy. D: How can businesses embrace technology? S: Technology is all around us. If you want to be left behind, you won’t embrace innovation. Look at F&B. 10 years ago, the only food that delivers to our home is KFC or McDonalds. Now, we can order anything via phone apps, and they get sent to us. If not for the use of technology, a lot of businesses would not have thrived. If you don’t know how to embrace and adapt, you lose out when everyone else is progressing. D: How will technology shape the next wave of growth? S: Top down, the government has pumped in a lot of money into the whole technology scene. Leveraging on Singapore’s friendly business environment, we can use this as a base for companies to conduct businesses and activities related to technology. Bottom up, private companies have room for growth. Times have changed. We are now a sharing and open economy. We don’t need the government to decide on something. We can adapt to what the markets require. When businesses change, we build new verticals to keep up with change. D: You started out in private banking. How did you land in technology? S: When we see opportunities, we build new business verticals. From family offices, we extended into fund management. Then we extended further into consulting, to help traditional businesses transform into digitally savvy ones. Most recently, we started a business club called Spectrum. With a strong community element, companies that we invest into can meet with investors and service providers. This promotes business, which drives more money flows that stem out from Singapore and the rest of Asia. Did I come up with these great plans from the beginning? No. Did these get added along the way? For sure. When the idea was formed, there was no clear destination. We continue to shape things along the way, and technology became a part of it. D: With so much going on, is there anything that scares you? S: If you are given certain talents and capabilities, you want to make the best use of them. Because I lead a team, I need to ensure they are well-led and don’t disappoint them. When we don’t elevate ourselves together, we don’t grow. When we become stagnant, we should be very concerned. D: How do you keep it all together? S: I set very clear daily goals. Everyone who places something on my desk will say it is urgent. Everyone is crying for attention. I prioritise and write them down, otherwise I lose sight. I also take time to meet with business unit leaders. To score a goal, it is faster to pass the ball down than to dribble it myself. These are the things I do to manage. Work will never finish. There is always something new to do, and I try to be disciplined about it. D: For entrepreneurs, what are the must haves to achieve better success? S: Passion for what you do. Together with hard work and persistence, you will give over 100%. If you just want to do something out of necessity, you will only give 100%. Other skillsets include being a people person, creative, and getting equipped with the right knowledge. A combination of these factors are important for a successful business and person. Golden Equator Capital is located at 3 Fraser Street, DUO Tower, #05-21, Singapore 189352.